Abstract joined forces with Nikal Ltd for a project in Salford, Greater Manchester and, as Abstract Nikal Management Ltd in a joint venture with The Carlyle Group, purchased the former Colgate-Palmolive site in Salford Quays, Manchester for a £40 million office-led regeneration project. The 8.4-acre site, renamed Ivy Wharf, comprised existing offices, cleared production and warehouse space and approximately 800 car parking spaces. 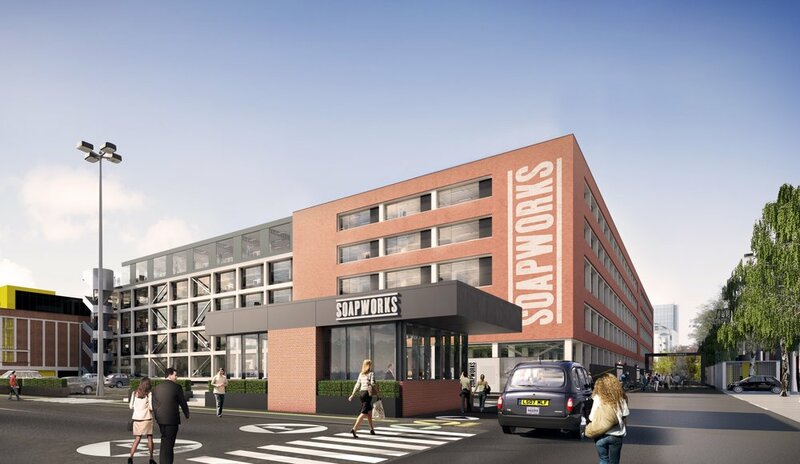 The existing factory building within Ivy Wharf was renamed Soapworks and is being converted to deliver over 400,000 sq ft of new commercial space, designed and consented to include contemporary office, media, hotel and complementary retail and leisure space. 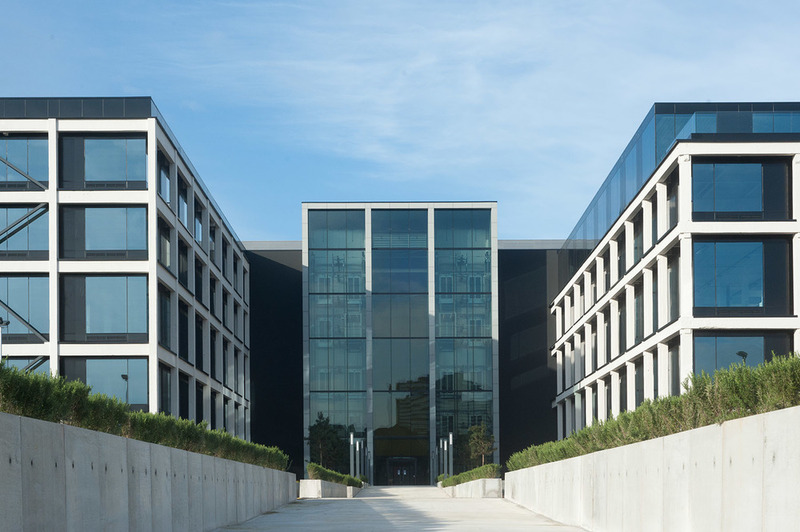 It is being delivered in three phases and is well-located within the Media City boundary, providing space that can appeal to both the creative industry and corporate occupiers. The first phase, The Boilerhouse, comprising of 20,000 sq ft of office space over 5 floors, has already been redeveloped and is let to TalkTalk, a major Telecoms Group. This first phase also included the creation of a new public realm at Soapworks, including a new ‘Green Link’ public route through the site between the Ordsall Estate and the Manchester Ship Canal. The second and most significant phase of the project has now been completed and realises the creation of more than 200,000 sq ft of Grade A office space in Blocks A, B and C of the original building, together with the new waterside external realm, car parking and a further ‘Green Link’ route. With 85% of this new space now let to the Home Office (56,000 sq ft), MWH (25,000 sq ft) and Talk Talk (106,000 sq ft), occupier fit-out is now underway, with first occupation due in Autumn 2015. The final phase of Soapworks is the redevelopment of Block D, the biggest stand-alone block containing the potential for a further 200,000 sq ft of space over a potential 7 floors. The scheme also has planning consent for further commercial, retail, hotel and residential development on the waterfront on the remainder of the Ivy Wharf site. TalkTalk and the Home Office have pre-let a total of 160,000 sq ft of office space at The Carlyle Group’s £70m Soapworks development in Salford Quays. The broadband provider has agreed to take 106,000 sq ft on a 15-year lease, which is the largest office pre-let in Great Manchester this year, and the second-largest deal in the Salford Quays area since the BBC announced its relocation to Media City UK in 2007.